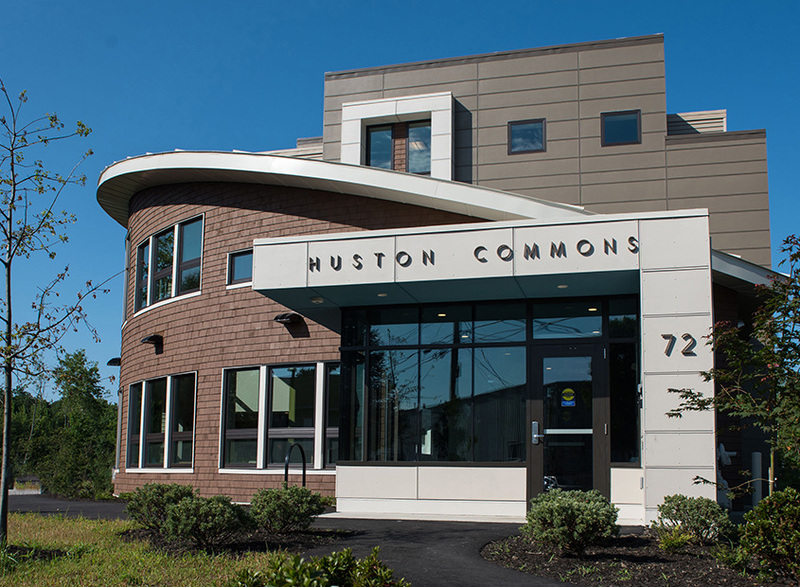 PORTLAND, ME (September 7, 2017) — On Tuesday, September 12 at 10am Avesta Housing and Preble Street celebrate Portland’s third “housing first” program, Huston Commons. The apartment building is now home to 30 formerly homeless individuals with chronic health challenges. “Portland’s affordable housing and homeless crisis is as challenging as we have ever seen. Huston Commons will change 30 lives, more than any other housing initiative this year,” said Avesta Housing President & CEO, Dana Totman. In addition to helping vulnerable people and making a demonstrable difference in the city’s overcrowded emergency shelters, Huston Commons saves the community money. As has been proven over and over again, “housing first”—permanent housing with supportive services—is cheaper than the endless cycle of shelters, emergency rooms, jails, detox programs that chronically homeless people endure year after year. Housing first is the most humane and cost-effective solution to chronic homelessness. Developed and owned by Avesta Housing, Huston Commons operates in partnership with Preble Street and Portland Housing Authority. Avesta Housing manages the building, and Preble Street provides on-site staffing, including social work services for tenants. Portland Housing Authority provides project-based rental assistance, which allows tenants to limit their rent payments to 30% of their income, while HUD funds cover the balance. Each fully-furnished efficiency apartment is highly insulated and features water-conserving fixtures and features, a high-efficiency heating system, low or no-VOC paints and materials, and Energy Star-qualified appliances, lighting, and fixtures. Interviews with Huston Commons tenants are available upon request.